If you're looking for a 20,000 sq.ft. showroom with high pricing and high pressure sales associates making huge commissions, then we're definitely not for you; we are on the complete other end of the spectrum. We have a small, cozy and clean showroom with the nation's top selling mattress and furniture styles on display. We are a husband and wife team, operating out of a small space in Orange County vs. high rent at a retail location. Personal one-on-one attention with absolutely NO pressure to purchase. No commissioned sales associates (just Vince and Stacy). We are willing to work off of a very small profit margin - plain and simple. An exact day and time for delivery (no 4-6 hour window). In most cases you'll have your product within 24-48 hours. 3 Months same as cash No Credit Check payment plan options available. Five years ago, the husband and wife team of Stacy and Vince, decided to venture out on their own and started their own business. More importantly, they started this business to have direct interaction with people and help everyone they come into contact with. So, they started a wholesale and discount mattresses and furniture business with a very simple business model. To Vince & Stacy, this very simple business model means they have a mission. Over the years, the couple learned a tremendous amount about how furniture is built, how mattresses are built, the foam that is going into mattresses, the density, coil counts, how many times these coils are spun (but we won’t bore you with that). You can always have that conversation with Stacy and Vince in person. Feeling blessed with what they've learned over the years, the couple has been able to touch so many thousands of people that have walked through Slumber N Serenity's door, and have gained so many, new, close personal friends because of this business. What Makes Slumber N Serenity Different? 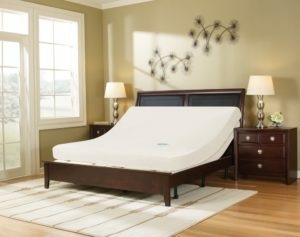 If you want to know more about comparisons, specifications, how mattresses are made, what materials go into every product, why some get hills and valleys, or even why mattresses fail prematurely, Vince and Stacy are happy to educate you before you make your choice. Slumber N Serenity encourages conversations before you buy any mattress or furniture. We disclose everything that is inside our products. And we sell it for a price that you can’t get any place else. We encourage our customers to do a Google search and they will find our pricing lower than Amazon, eBay, Overstock.com or Wayfair, (just to name a few). 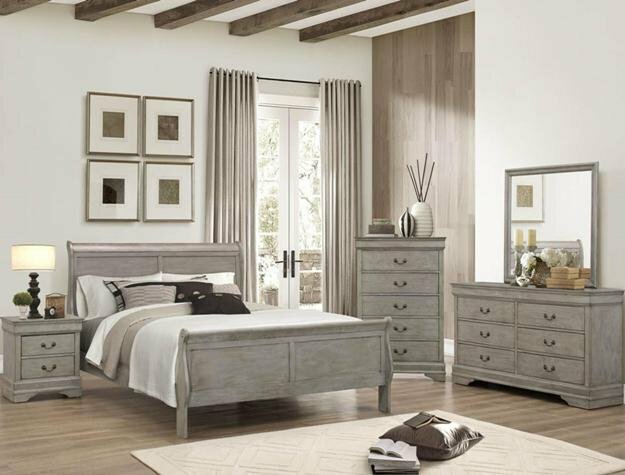 When you come to our furniture and mattress store, we're here to help you find the perfect solution. You will never be pressured into buying anything. We will educate you on everything you are looking at to help you make the best buying decision. There is no pressure; if you chose to go elsewhere that is perfectly fine. No “bait and switch” tactics here. We just want to give you as much information as possible to help you make the best decision for you. Slumber N Serenity sells at such a low margin which is why you won't find pricing on our website - that is our deal with the major manufacturers. We encourage people to visit our store so you can see the quality of what we are offering. 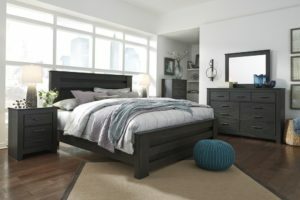 We want to make sure that you are getting the best quality mattresses and furniture at the lowest possible price. We are a very reputable company. We are stand up people, honest, and we understand how valuable your time is. In reading online reviews of other stores, we’ve seen that one major complaint is a 4 to 6 hour delivery window. Four to six hour delivery windows are very difficult during the day for people that have to work. We give you a specific date and time. In five years, we have not missed one delivery. "Do you fall a little behind, could you run 5 or 10 minutes late?" Absolutely. We’re only human. Our delivery guys are only human. But we stay in communication and you will know if we are running late. Can a manufacturer defect happen? The mattresses we sell are very strong and we believe in them. We are selling mattresses with the highest end components and foam densities at a price that nobody has. However, there can be isolated cases where manufacturer defects can happen. The national defect rate on mattresses is about 2%. In five years, ours is about two 100s of 1%. But we assure you that those people who had an issue did not have to call the mattress manufacturer. Why? We tell everyone to call us. Let us deal with the issue. We will deal with the manufacture to take care of any issue you may have. This is how Vince & Stacy run Slumber N Serenity - they truly care!